Understanding Sodium Hypochlorite Solutions and their importance in Mold Stain Removal. Many of the leading mold stain removal products use one of two primary active ingredients – hydrogen peroxide or sodium hypochlorite. Sodium hypochlorite is the core ingredient in the manufacturing of common household bleach products. It is also a better bleaching agent than hydrogen peroxide. EPA Stance: It is important to understand the EPA’s stance on sodium hypochlorite and its potential uses in mold remediation. The term "bleach" originated in the late 1700’s from the discovery that chlorine gas in water "bleached" or "whitened" textiles. Bleach, as it is known today, is a liquid that contains sodium hypochlorite, not chlorine gas, as the active ingredient. In 1957, under the authority of the Federal Insecticide, Fungicide, and Rodenticide Act (FIFRA), sodium hypochlorite was registered for use as an antimicrobial pesticide. 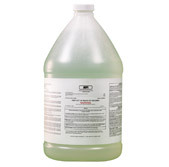 As a sanitizer or disinfectant to kill bacteria, fungi, and viruses; sodium hypochlorite is approved for use in households, food processing plants, agricultural settings, animal facilities, hospitals, and human drinking water supplies. Bleach-containing products not claiming to sanitize or disinfect, are not considered registered pesticides. These bleach-containing products are often sold as a laundry additive or as an all-purpose cleaner. 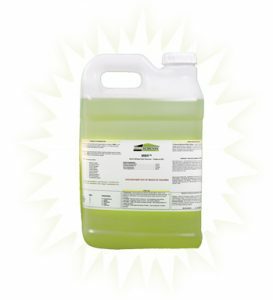 Sodium hypochlorite-based mold stain removers like MMR mold stain remover, fall in the category of products that choose not to file disinfectant claims, thus falling outside EPA requirements for pesticide registration. Products like MMR may incidentally exhibit pesticidal tendencies and characteristics, but are not making such claims. Misconceptions: Consumers tend to view bleach as an acceptable biocide to treat all molds. This belief has been perpetuated by health departments and other state/local agencies that promoted bleach as an “accepted and answer-all” solution. However, the Occupational Safety and Health Administration (OSHA) and the EPA have begun to change their stance regarding this long-held belief of bleach as a mold remediation product. The Clorox Company, manufacturer of Ultra Clorox® Regular Bleach, promotes the effectiveness of their product as being effective on hard, non-porous surfaces against…Aspergillus niger and Trichophyton mentagrophytes. Coupled with its effectiveness in “bleaching out” mold stains on hard surfaces like countertops, tubs and shower basins – household bleach has gained a cult-like consumer following as being effective against mold. Consumers and contractors have incorrectly extrapolated the benefits of bleach, as it pertains to hard, non-porous surfaces, to porous building materials like drywall, OSB, and framing materials that often succumb to mold infestation following water intrusion. Limitations: Household bleach has many limitations that make it ineffective in the remediation of porous building materials. Bleach, as a diluted sodium hypochlorite solution stabilized in water, degrades over time, making it less potent, especially as a stain remover. It also contains minimal amounts of surfactants. These surfactants are essential in allowing the hypochlorite solution to penetrate the building material reaching the hyphae, or roots of the mold. An Acceptable Answer: An aggressive hypochlorite solution that is delivered with enough surfactants to impact the embedded hyphae while also addressing the enzymatic surface staining becomes something other than household bleach. 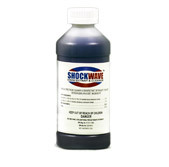 When manufactured in short, periodic intervals, such a product reduces water degradation, providing sufficient stain removing capabilities. MMR mold stain remover by www.FastMoldRemoval.com meets those aforementioned qualifications. Manufactured in Frankfort, Il., and distributed nationally to contractors, MMR has ten years of field use and successes. Although used primarily in unconditioned areas like crawl spaces and attics, MMR can be applied in numerous instances. It is effective on most structural wood building components including plywood, OSB, framing materials, cinder block, concrete, hardiboard, and cedar shake roofing. MMR is oftentimes a component in remediation protocols that are subject to post remedial verification (PRV). It has been used successfully in many PRV jobs when other efforts – including HEPA vacuuming, air scrubbing, air washing and/or disinfecting, were included.